After ordering all the hardware, it came to me that it was dumb to attempt to reuse my old semi-reliable, slow CD drive. So I purchase the HP 24X Multiformat DVD/CD Writer (dvd1260i) at Best Buy for 40 dollars. I discovered that the my old PC had ATA hard drives (commonly called an IDE drive) and my new Mobo only supports SATA (SATA 3Gb/s & 6GB/s and it includes an external eSATA port). This blows my plan to reuse my existing hard drives ... stupid me, I should have checked. I did a quick scan for ATA controller cards and found a few (not many) for 15 to 30 dollars. I could buy the card and make this work but it doesn't seem like a good investment. The drives are 400G drives and has a maximum data transfer rate of about 133MB/s (i.e. ATA/66). The maximum data transfer rates of SATA II and SATA III are 300 MB/s and 600 MB/s, respectively. I can buy a Seagate - Barracuda 500GB SATA II Internal Hard Drive for $70. Given my objective to increase the performance of my computing experience, buying a new SATA III hard drive should have been part of the original plan. After reading up on RAID and the Intel Rapid Storage Technology (RST), I concluded that it would be best to do a Software Raid and not use RST. While I assumed in my original plan that I would dual boot the box with Linux and MS Windows, the comment from armahillo@gmail.com convinced me of what I suspected I should do; and that was to make wine, mono, and PlayOnLinux work for me. While I haven't stressed them, so far so good. I have not installed VirtualBox and I suspect I will not ... unless I get desperate. I was planning to reuse my old keyboard and mouse, but you know, I hated that keyboard and the mouse was already acting badly and about to die on me. So I ended up replacing them with sometime worthy of my new system. Like may, over the years I have made a large time investment in tuning my .bashrc, .vimrc, and other such resource files. I installed my beloved "dot" files from my Git repository. Chromium is a fully open-source version of Google's Chrome, and for licensing reasons, it doesn't come packaged with the integrated Flash or a native PDF reader. Lucky, there is a work around and that is documented here: Use Google Chrome’s Native PDF reader in Chromium. But I prefer Chrome to Chromium, and luckily, you can install it on Ubuntu. Just go to Chrome's download site and follow the instructions. I have a SqueezeBox device in my workshop for playing music. Specifically, I have the Squeezebox Classic (Owner's Guide). On my old PC, I had installed the SlimServer which would provide the music stream. I want to now reestablish that capability on the Linux box. The post How to Use Squeezebox With Ubuntu and the Logitech SqueezeBox Wiki gives you all the information you should need. # Logitech Media Server (formerly known as SqueezeCenter or SlimServer). Now open a browser and type "http://desktop:9000" as the URL, where "desktop" is the name of your Linux system. This brings you to a Squeezebox interface to configure the system. If you want to start/stop Logitech Media Server manually you can run: sudo /etc/init.d/logitechmediaserver stop, sudo /etc/init.d/logitechmediaserver start, and sudo /etc/init.d/logitechmediaserver restart. Keep in mind that the Squeeze Box Server uses port 9000. Make sure the port is open with the following: netstat -an | grep 9000. If the you don't get any output or the line doesn't contain "LISTEN", then the port is closed or there is no process (i.e squeezeboxserver) listening to it. Use these procedures to open ports on a Linux firewall. Someone at Logitech had the brilliant idea that MP3s and other audio files should be stored in an online service a while back, something that doesn't sit well with me, I prefer to keep them on my LAN. Consider this to roll your own Squeezebox with a Raspberry Pi. When it comes to printers and scanners, Ubuntu advices that you should simply plug it in and try! Ubuntu claims that if it's a newer model USB scanner / printer, it is likely that it will work immediately without any further driver or software installations. I did this with my multifunction Samsung SCX-4521F, which is a printer / scanner combination, and the printer function worked but the scanner did not. After a bit of research, I discovered that Ubuntu uses Common UNIX Printing System (CUPS) for printer management. CUPS is the standards-based, open source printing system developed by Apple for OS X and other UNIX-like operating systems. Assuming CUPS is installed (and it appeares to be with the Ubuntu package), you can use a web browser to access it features. To do this, open your web browser and got to http://localhost:631/. You'll find there an overview of CUPS, administrative functions, and even command-line utilities. I also discovered that SANE (Scanner Access Now Easy) is the Linux way of scanning. SANE supports a great many scanners, and the community around SANE adds support for more scanners all the time. They claim, by and large, you should simple plug them in and your ready to scan. However, some scanners, like mine, require more effort. I then added my login user to the scanner group via sudo usermod -a -G scanner jeff. I ran the command sane-find-scanner to see if I'm now able to detect the scanner, and I got the following disappointing results. but the sudo sane-find-scanner got the same "could not fetch string descriptor: Pipe error" error message when done earlier. This still didn't give me a good run for sudo sane-find-scanner but the command scanimage --test did give passing results. Given this, I proceeded to using xsane to test out some scanning (it worked!). xsane is a X Window application and produces it output in PNM format. You can convert this format to PDF (and many other formats) via the utility convert (e.g. convert outfile.pnm outfile.pdf). I later abandoned my Samsung printer for the HP LaserJet P2035; a basic black & white workhorse. Keeping the multipurpose Samsung working was just too much of a drain on my time. To get this printer working, I choose to use it with Google Cloud Print. To do this, for the most part, I followed the post "How can I easily set up a Google Cloud Print printer?" to get my Linux box configured with the Google Cloud Print service. I then used "How can I import my printer(s) into Google Cloud Print?" to get my printer established within Google Cloud Print. With Google Cloud Print, I'm not only able to print from my Linux desktop, but from any Chrome browser when I'm logged in to my Google account. So I can print from my Chromebook, Android Phone, etc. The next step was to share this print with others, and that can be done by following this posting: Share your printer. After installing any of the above Rhythmbox plugins, enable them from the main menu: Rhythmbox > Plugins. You also have to configure the web browser to ask what to do with download links. It is best to use Firefox and you can configure downloads via: Edit->Preferences->General->Downloads->Always ask me where to save files. Now plug the remote into the PC using the provided cable, and enter the command: sudo concordance -i -v. You should get a bunch of data and the word "Success", verifying that you can talk to the device. Visit the Harmony Remote's member site URL. This appears to be a legacy support site and Logitech site listed in the documentation with the device will not work under Linux. To pair a device: sudo ltunify pair, then turn your wireless device off and on to start pairing. 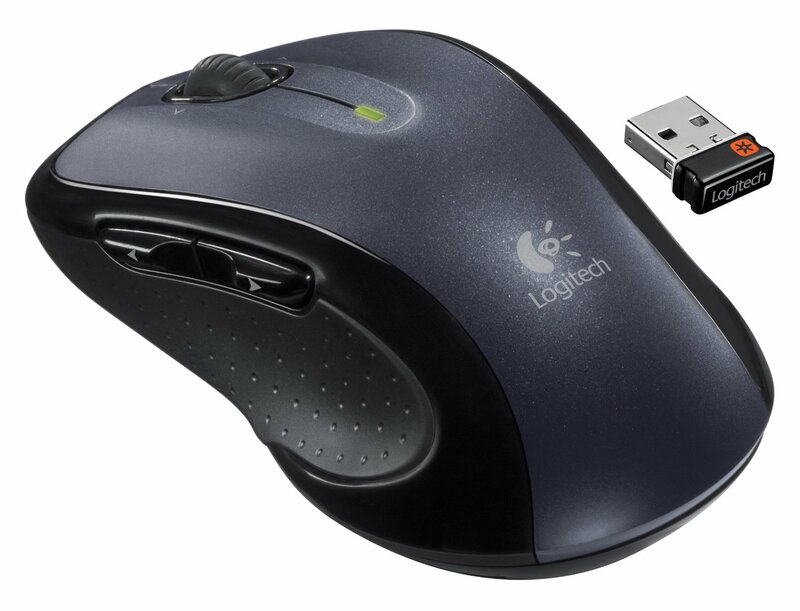 The M510 mouse has extra buttons on its left side and the scroll wheel has a side-to-side click, but out of the box,the don't do anything under Linux. It would be nice to make use of these extra buttons. To address this problem, I found pointers in these posts: How to get all those extra mouse buttons to work, How do I remap certain keys, Mouse shortcuts with xbindkeys, and Guide for setup Performance MX mouse on Linux (with KDE). The "command to start" is simply a shell command (that you can run from a terminal), and "associated key" is the key or button. "xte 'keydown Control_L' 'keydown Shift_L' 'key c' 'keyup Control_L' 'keyup Shift_L'"
"xte 'keydown Control_L' 'keydown Shift_L' 'key v' 'keyup Control_L' 'keyup Shift_L'"
xvkbd is a virtual (graphical) keyboard program for X Window System which provides facility to enter characters onto other X clients by clicking on a keyboard displayed on the screen. I then exported the contents of my SplashID database to a CSV file and imported it into keepass2. I set up the KeePass2 database within my Dropbox folder. This way, it can be scych'ed with my cell phone. I then installed KeePassDroid on my cell phone, pointing it at the database with the cell phones Dropbox. KeePassDroid is a port of the KeePass password safe for the Android platform. There is some cleanup of the fields within the KeePass2 database, but the data is now accessable on both my PC and my cell phone. Slack is a team collaboration tool that replaced email with a chat app that plugged in to all their favorite services like Twitter, GitHub, and Dropbox. It organize your team conversations in open channels. You can make a channel for a project, a topic, a team, etc. but transparent view of all that’s going on. At the time of writing this post, Slake didn't have an offical tool for the Linux desktop, but ScudCloud provide the unofficial Slack client for Ubuntu. And it's open source. Using Wine on Windows programs can be as simple or complex, it all depends on the program. Ubuntu provides some guidance on how to use Wine, also check out Wine Documentation and Wine HowTo. At the time of writing of this post, the only thing I loaded via Wine was SplashID, which worked without any challenges. Note: Ultimately, I abandoned Wine and installed VirtualBox. See my posting titled "Having Fun with Wine, VirtualBox, and TurboTax". PlayOnLinux is based on Wine, and so profits from all its features, yet it keeps the user from having to deal with all its complexity. I also install this package, in part because it comes pre-configured to load some popular tools. I used it to install Internet Explore (sometimes its the only browser you can get to work on a site), and Kindle. I had already installed one SSD and one HHD disk drives in my system. I then installed a third drive that matched the HHD drive. My 128GB SSD has the device name of /dev/sda1 and mounted as /boot. The currently installed 1TB SATA HDD has the device name of /dev/sdb1 and mounted as /home. The newly install 1TB SATA HDD has the device name of /dev/sdc. Physically install the additional hard drive. Install mdadm, which is the Linux utility used to manage software RAID devices. Partition the newly installed disk. Use the following inputs: n to establish a logic partition, p to make it a primary partition, 1 should be the partition number, use the same sectors as the currently installed drive, t to set the partition type, fd hex code type, p to print what the partition table will look like, w to write all of the changes to disk. At this point, if you do a sudo fdisk -l | grep '^Disk', you see a new disk, that being /dev/md0. This is the RAID but not yet fully created. Make the file system (ext3 type like the currently installed hard drive) on the RAID device. Make a mount point for the RAID and mount the device. Copy over the files form the original hard drive to the new hard drive using rsync. Just in case of a disaster, copy the original hard drive to the SSD /dev/sda1 root file system as /home_backup. After the copy, to see the status of the RAID, use the command sudo mdadm --detail /dev/md0. What you see is that the /dev/sdc1 drives is in "active sync " state but no reference to the other drive. When you do cat /proc/mdstat you see "md0 : active raid1 sdc1" but again no reference to the other drive. Edit your /etc/fstab file and edit all references of /dev/sdb1 to /dev/md0 and reboot the system. With this, /dev/md0 will be used as /home on the next boot. This will free up the existing hard drive so it can be made ready for the RAID. With fdisk, re-partition /dev/sdb1 with a partition of type fd. Use the following inputs: n to establish a logic partition, p to make it a primary partition, 1 should be the partition number, use the same sectors as the currently installed drive, t to set the partition type, fd hex code type, p to print what the partition table will look like, w to write all of the changes to disk. Add /dev/sdb1 to your existing RAID array. The RAID array will now start to rebuild so that the two drives have the same data. Use the following command to check the status of the rebuild.